The perfect combination of form and function, the Armstrong Wall Light by Heathfield & Co features two light sources; a shaded light with a swivel joint below. 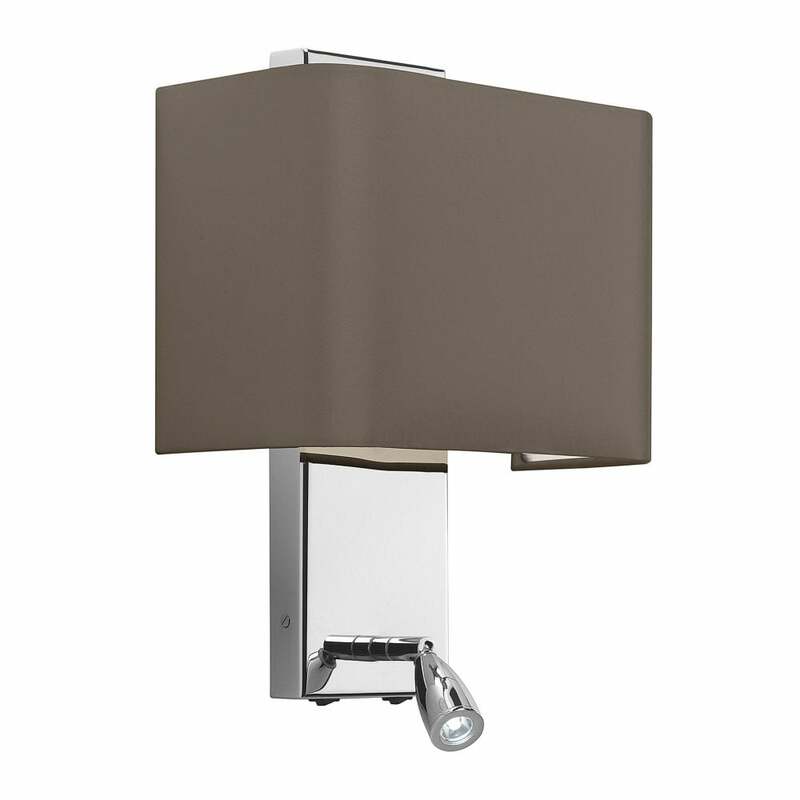 The clean and sophisticated design is complemented by a polished nickel backplate. The elegant shade contrasts beautifully with the sleek and modern finish. This clever design can be used to angle and bounce light around your home. Pair either side of a bedside table for the perfect evening reading light. Available in a range of shade options. Priced for 10" Shield shade with silk outer and white pvc lining. Other options available.